Daintree Grey Porcelain Pavers feature striking dark tones with a quartz like appearance. Our pavers consist of a multitude of embossed prints, allowing for a seamless natural look. With a high slip resistance they are a natural choice for any outdoor application as well pool surrounds and wet areas. Daintree Grey Porcelain pavers are made from highly compressed clay and contain no weak points, they attract less heat than natural stone. Our Porcelain pavers are a maintenance free paving solution that never age. You need never worry about permanent stains, nor is sealing required. Providing a stress free, no-maintenance, set and go solution. 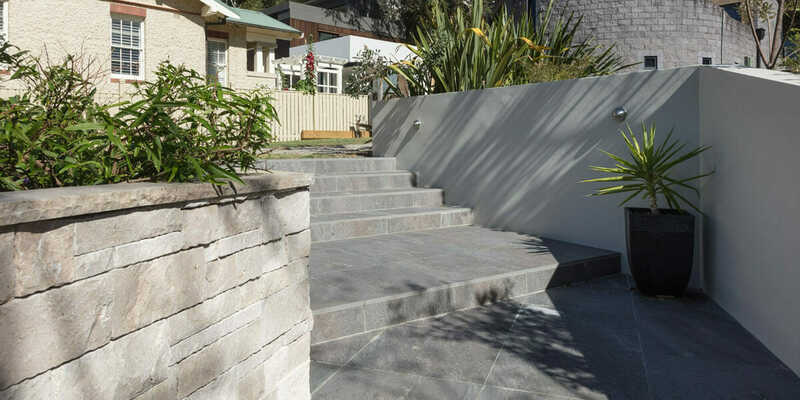 Daintree Grey porcelain pavers consist of practical colours and tones – the dark quartz like features help mask unwanted dirt. 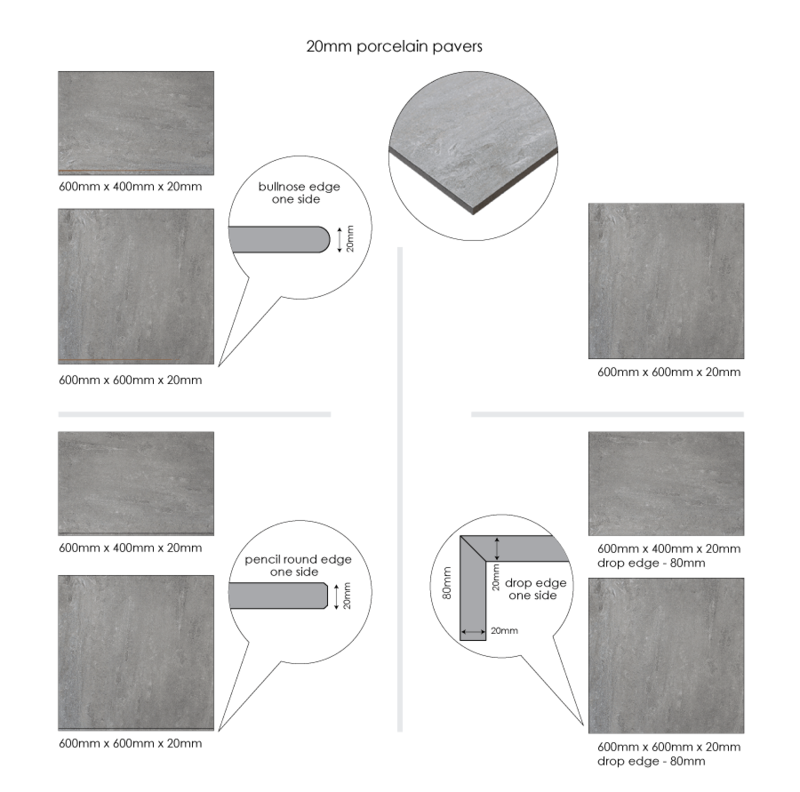 Porcelain pavers are non-porose and are structurally strong, meaning they can be laid on a sand base without any glue making it a cost effective solution for your home or commercial application. For further information on how you can best use Porclain Pavers, please click here to contact one of our team members.